We offer waste auditing and sustainability consulting services across the retail and wholesale sector, whether, from addressing the needs of individual buildings to working with clients across their wider business operations. We have provided waste auditing services for the assessment and improved efficiency of shopping complexes, retail parks as well as less formal retail locations. We provide tailored services as required. Resource recovery options and pricing advice. 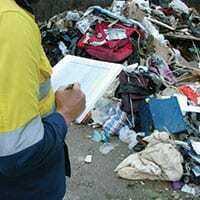 Waste assessments, audits and operational efficiency. Sustainability advice and educational materials.